Nanoparticles are assemblies of a relatively limited number of atoms. To be considered as a nanoparticle, at least one of the three dimensions of an assembly must be of the order of one nanometer. Within the family of nanoparticles, there are also other objects and geometries of interest. 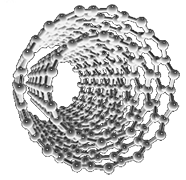 These include: fullerenes, whose three-dimensions are nanometric; nanotubes, with two nanometric dimensions; and thin films, with only one nanometric dimension. As one approaches the nanometric scale, these particles begin to exhibit very different and special properties. This phenomenon is attributed to quantum effects, specifically in the behavior of electrons, but also with different surface and volume effects. 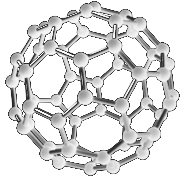 Research on nanoparticles has gone through several important milestones, first with the discovery of the first fullerene consisting of carbon atoms in 1985 (Nobel Prize in Chemistry in 1996), then carbon nanotubes in 1991, and finally with graphene (Nobel Prize in Physics in 2010). From there, the development in this domain has been rapid, with promising applications in a plethora of fields including medicine, energy storage/production and electronics. Because of their very small size, nanoparticles can enter inside living cells. They pose a risk for the organisms, and their use must be controlled. Despite this, nanomaterials are already used without solving this issue in many commercial applications such as paints, cosmetics, and packaging. Saftey is our Priority: On this matter, the encapsulation method developed by Nexdot represents a major breakthrough as it becomes possible to take advantage of the properties of specific nanoparticles without worry of leaching across the cell barrier. By inserting and protecting them into a larger object thanks to our encapsulation, concerns with working on nanoparticles can be avoided.